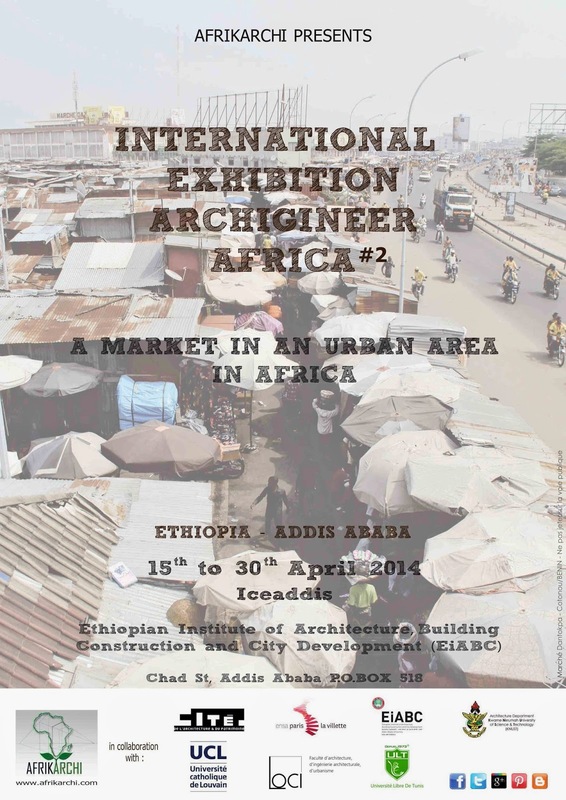 AFRIKArchi in collaboration with the Ethiopian Institute of Architecture, Building Construction and City Development (EiABC) and its partners present the ARCHIGINEER AFRICA 2014 International Exhibition - ETHIOPIA | 15th to 30th April at Iceaddis. This exhibition is presented to you at the issue of the ARCHIGINEER AFRICA 2014 International Competition which topic was « Design or Rehabilitate a Market in urban area in Africa », in response to real and current issues on the African continent. You are invited to come and discover amazing projects proposed by students and young professionals mostly from Africa and the world.